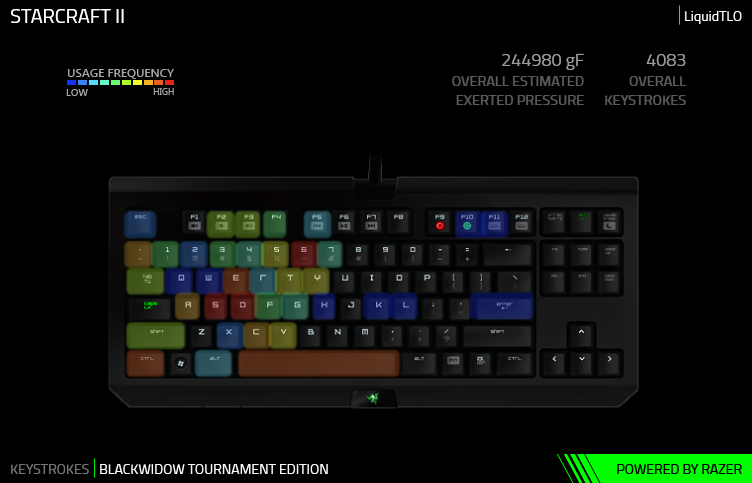 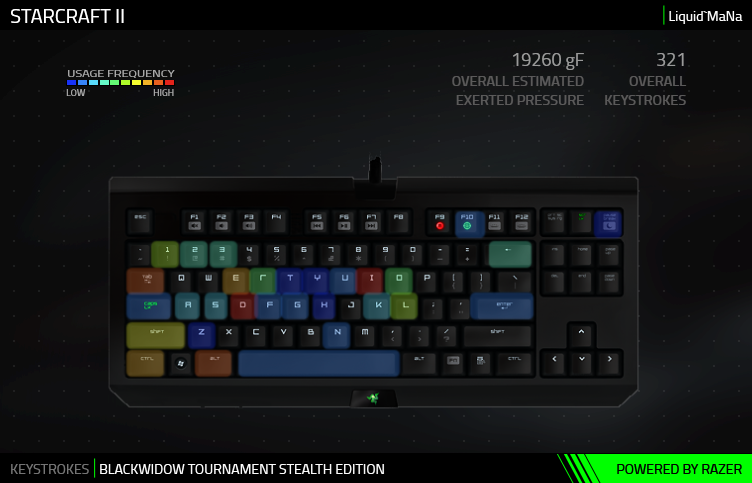 Know precise details of how you’ve been using your gear, such as game time, key presses, distance moved, and even how much pressure you exert while gaming. 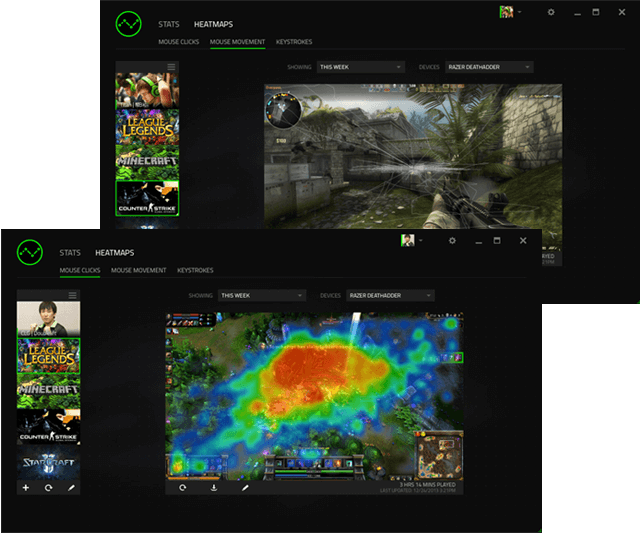 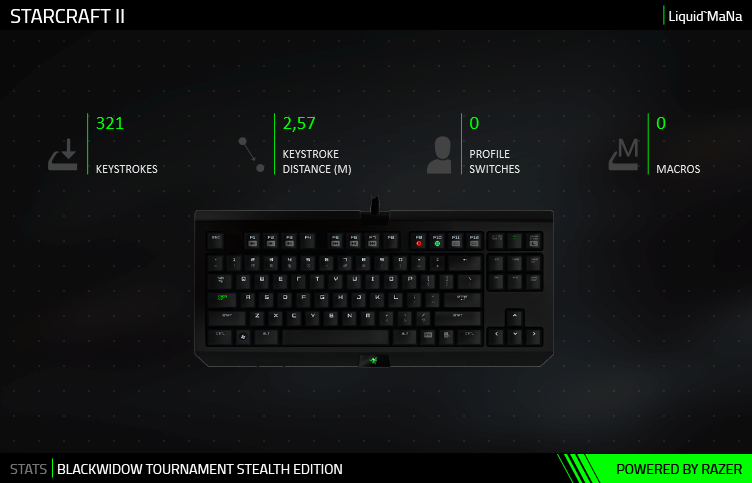 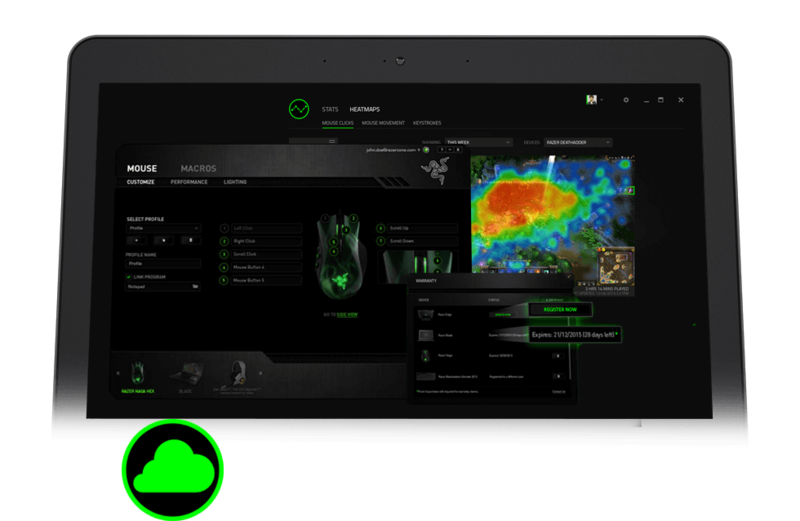 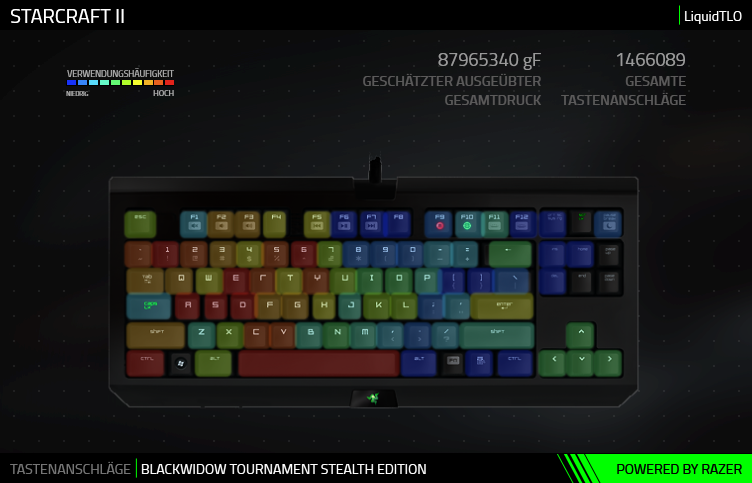 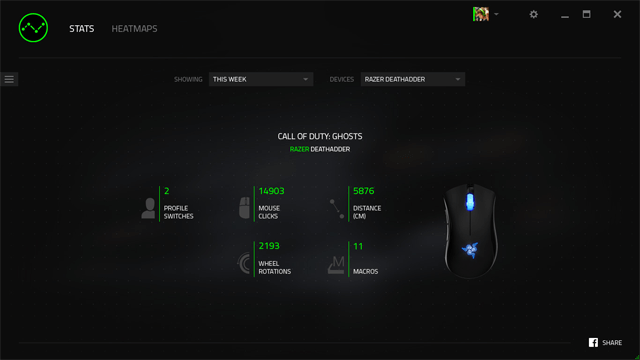 Synapse gives you the choice of tracking all your mouse clicks, movement, and keyboard button presses when you’re dominating in-game, and presents an accurate overview of your mouse and keyboard usage. 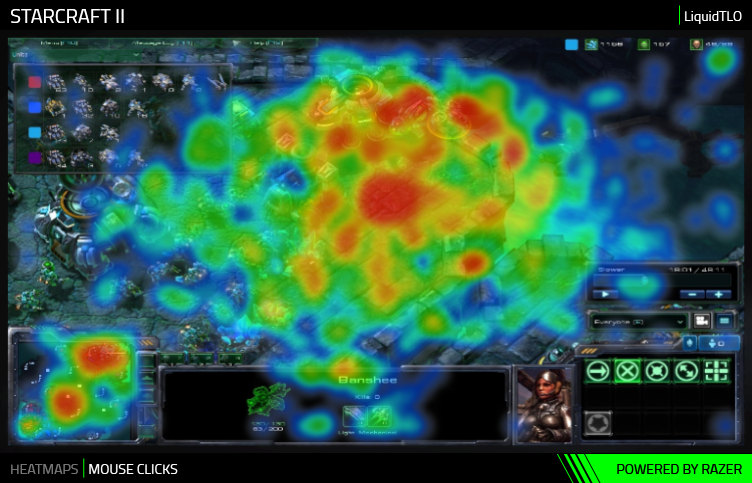 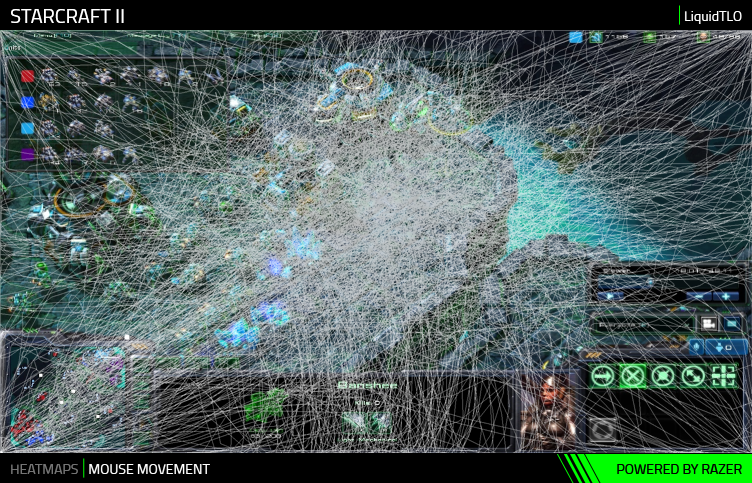 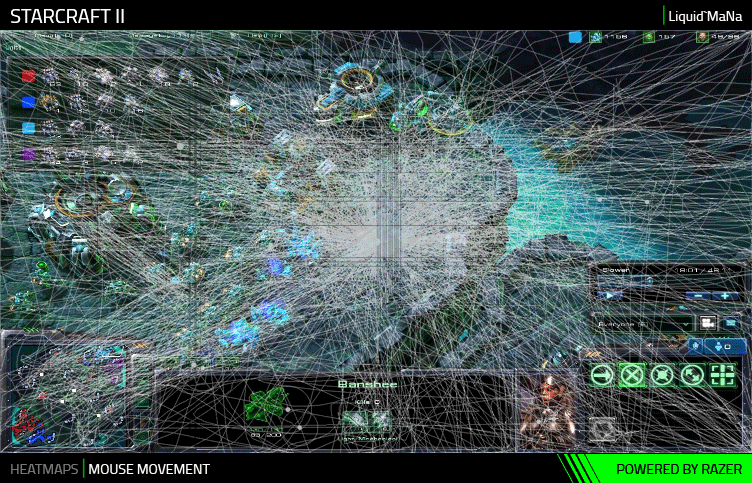 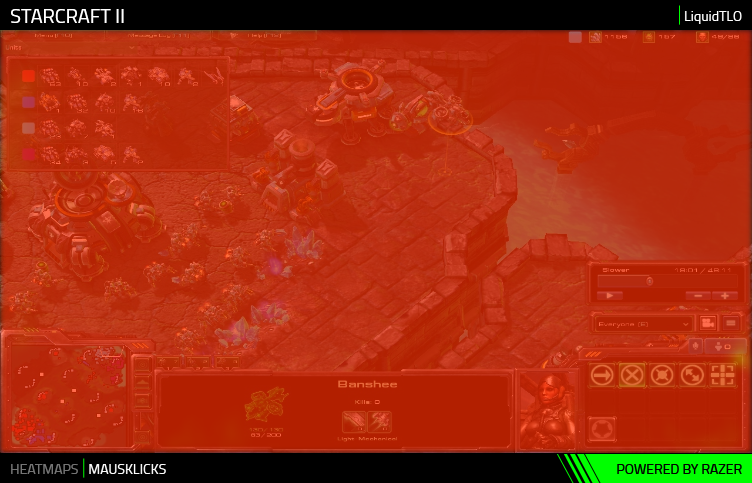 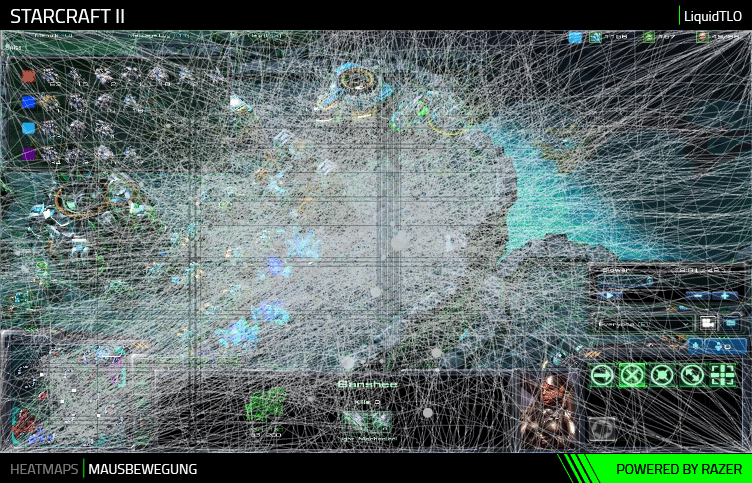 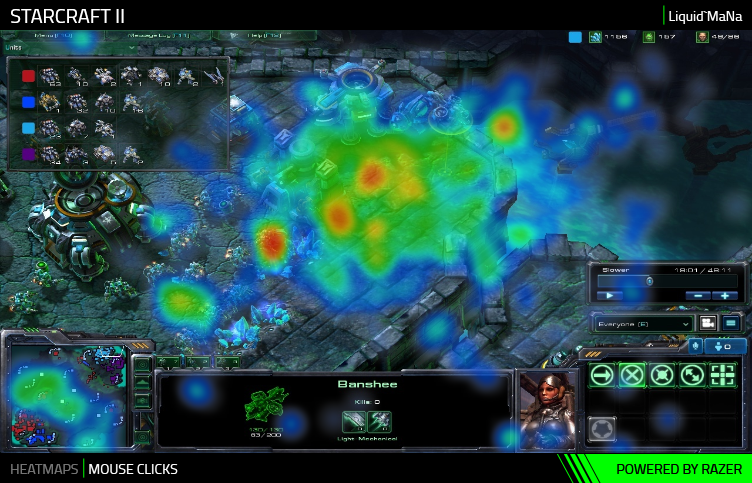 Overlay your tracked mouse movement and clicks over default or custom in-game screenshots to analyze where you click the most and how far you move. 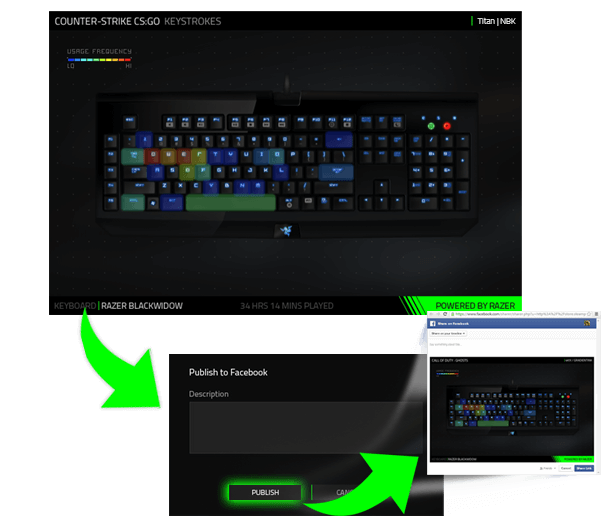 Share - Show it off! 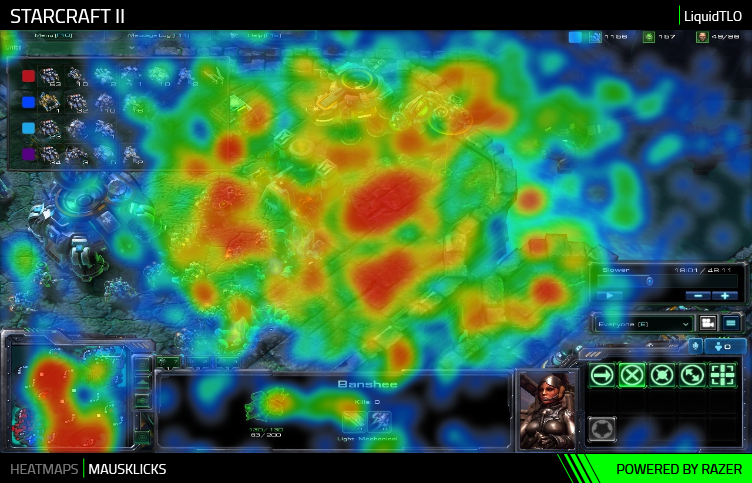 Instantly share your stats and heatmaps on Facebook and Twitter to see where you stand among your friends and teammates. 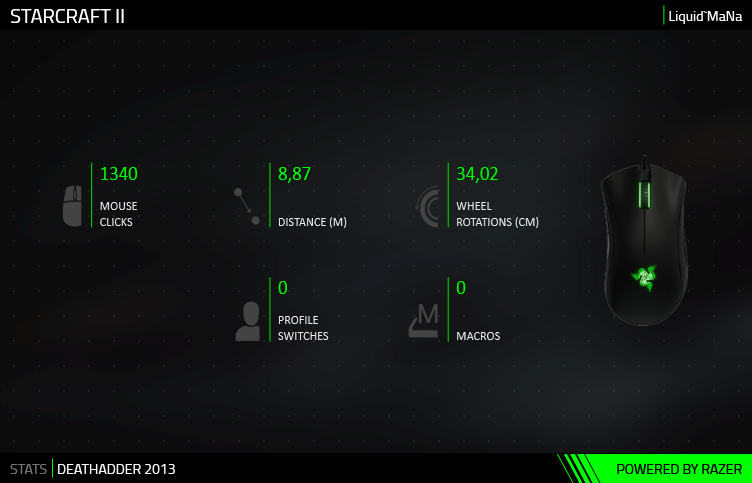 Then up your game by heading over to the gallery to check out how the pros use their gear.